Born September 26, 1932 in Mobile, Alabama. Clifton C. Williams received a bachelor’s degree in mechanical engineering from Auburn University. Williams his wife, Beth Lansche Williams, have two children, Catherine and Jane Dee. Williams, a Marine Corps Major, graduated from the Navy Test Pilot School in Maryland. He was a test pilot for three years and logged 2,500 hours of flying time, which included 2,100 hours in jet aircraft. 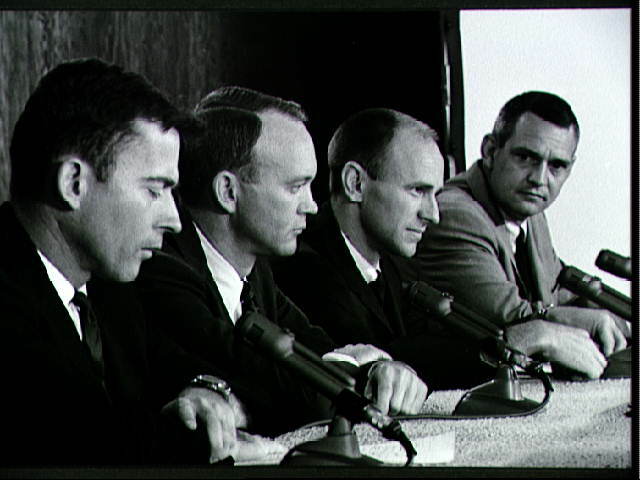 Major Williams was among the third group of astronauts selected by NASA in October 1963. He served as backup pilot for the Gemini 10 mission and worked in the areas of launch operations and crew safety. He was flying in a T-38 when it crashed. Clifton C. Williams, Jr. made the ultimate sacrifice and lost his life in service to the national and the space program on October 5, 1967 at 34 years of age.